Religious aplogetics is a respectable labor. However, it suffers today from deep neglect. Young and old alike search for yet cannot find an adequate response to questions they struggle with. What needs to be done, and what shouldn't be done? Why have religious aplogetics earned a reputation for manipulative shallowness. Solving the issue requires a proper understanding of the role of apologetics. Good apologetics involves a constant closing of the inevitable gap between religious fundamentals and a changing reality. It requires a close identification with the person undergoing the crisis, and an ability to translate religious concepts from a different era into his own language. Religion, including of course Torah Judaism, has always encountered detractors, skeptics, and critics. As such, defending religion — any religion — was and should be a necessary and much respected art. Today however, this labor has been largely abandoned in the Torah world. For their part, the skeptics and doubters have anything but disappeared; nor have they found ready answers to their questions. Truth-seekers, today as throughout the ages, struggle to find satisfactory answers to questions of faith and the daily challenges of religious life. How can this void be filled? Why is the art of apologetics so maligned nowadays as a form of superficial manipulation? What is the role of the apologist altogether? In this article I wish to propose an outline to approaching these questions. Apologetics is essentially an ongoing mediation between religious principles and the prevailing zeitgeist. An effective mediation will require the apologist to understand and identify with the world of the questioner and translate distant concepts into a familiar language. An inevitable tension arises between the vicissitudes of daily life on the one hand and religious faith and duty on the other, and attempts at mediation between them must adopt the language and form of religious self-reflection unique to each period. Rational formulation of the multiple layers of faith and its attendant religious systems is an ancient skill. Entire sections of Jewish thought across the generations were generated by a need to explain faith and religious obligations within the milieu of the given moment. To a large extent, Jewish thought and philosophy is a rational justification of the experiences and obligations of the Jewish religion, presented within a contemporary conceptual framework. Medieval authors such as Rav Saadiyah Gaon, Rambam, and Rav Yehudah Halevi explained the obligations and faith of the Torah using the language of neo-Platonic and Aristotelean science and philosophy, frameworks deeply influenced by the Muslim intellectual environment. Similarly, modern thinkers like Rav Kook, Rav Soloveitchik, and others, employed post-Enlightenment philosophical and psychological language to achieve the same goals. The motive driving these repeated efforts at religious justification is quite natural: each generation develops and is influenced by a unique cultural experience. As a result, faith-related and religious challenges — whether intellectual or practical — continually take new form. An inevitable tension arises between the vicissitudes of daily life on the one hand and religious faith and duty on the other, and attempts at mediation between them must adopt the language and form of religious self-reflection unique to each period. Thus, the work of religious hasbara is a project which never really ends. This form of justification or defense of the faith is formally known as “religious apologetics.” Classically, such defense was understood to be a respectable and necessary endeavor. The above-mentioned giants of generations past are remembered and praised to this day for their literary works defending and justifying our religion, though the intellectual frameworks they employed are today distant and foreign. More recently however, the concept of “apologetics” has developed negative associations. Over time, it has become synonymous with intellectual dishonesty, the manipulative use of facts and arguments to arrive at a predetermined conclusion. Moreover, one senses that apologetics’ bad reputation is partially justified. An ever-deepening crisis highlights the need today for a rational presentation of religious life and its obligations. Youngsters and adults alike are troubled by a growing dissonance between the realities of daily life and the demands of a religious system. These individuals, often sincere and religiously devout questioners, are distressed by an apparent lack of honest and genuine attention to their struggles. Too often, approaching a Rabbi or educator with these issues leads the seeker to a sense of misunderstanding and miscommunication. Not only does such an interaction fail to allay the questioner’s anxieties; it will likely lead to a further sense of alienation from the religious world. The bad name that apologetics has earned itself in recent years does not relieve us of our need for it. As in every generation, ours too requires thinkers and writers to explain the Torah in the language of the moment. If we are to accept the opening premise, namely, that each new generation must restate its religious conviction in contemporary form, then we cannot neglect today’s call either. The bad name that apologetics has earned itself in recent years does not relieve us of our need for it. As in every generation, ours too requires thinkers and writers to explain the Torah in the language of the moment. There is therefore a need to discuss the nature of apologetics. We need to analyze its various aspects and acknowledge its complexity, while understanding both the great benefits as well as the limitations or problems that may develop in the wake of such efforts to defend the faith and religious life. In this article, I will try to consider the way we approach religious apologetics in the Haredi world. I the context of marketing religious practice externally, which Haredi society knows as outreach to secular Jews, there is some awareness of methods and approaches by which Judaism should be presented. By contrast, I am unaware of similar discourse around explaining the faith within our own communities, to our children and students, and moreover to ourselves. I will therefore aim in these paragraphs to discuss the appropriate form our religious apologia should take and focus less on their contents. For these purposes, we need not distinguish between justification of the entire religious belief system, i.e. the broad matter of faith writ large or the Torah’s Divine origin, and defending a religious lifestyle, namely observance of commandments. This article is an initial attempt to outline a proper approach to apologetics and suggest suitable ways to deal with its challenges. I ask that the reader take my comments in this spirit, rather than as concrete conclusions, even where my wording may imply the latter. An important clarification is in order: in these comments I am addressing two aspects of apologetics. One is the individual’s own understanding, meaning the need to rationally establish one’s religious beliefs in his or her own mind. The second is “external” apologetics or justification, explaining and defending one’s belief system and way of life to another person. Throughout this article I make no explicit distinction between the two efforts. I have adopted the term “justification,” which connotes an outward effort, but I believe there is a close connection between the two aspects. Indeed, such justification often fails precisely because it is outwardly directed, rather than reflecting a true internal understanding on the part of the speaker. Apologetics, in effect, is a mediation between different worlds. The purpose of apologetics is to create a framework and a mediating language between the material world, as experienced by people every day, and the spiritual world of faith and religious commitment. The language of human culture is dynamic, and successfully expressing eternal principles of religion in present reality requires mediation between religious truths and people’s actual way of life. The apologist is a broker of sorts: his product is the Torah and his customers are the believers. The apologist is a broker of sorts: his product is the Torah and his customers are the believers. To be an honest and successful broker two important elements must be preserved. First, the broker must be fair and honest, free of personal biases to the extent possible. A broker who tries to “sell” his product by means of lies and manipulation will ultimately fail, even if the product itself is flawless. The broker is expected to respect the customer and his needs by demonstrating that the product is right for the customer. A broker who engages in manipulation misleads his client, effectively mocking him and his needs. All the same, even a fair and honest broker needs to understand the person before him, appreciate his needs, and identify his language. A broker who tries to market a product to a client in a language the client does not understand is bound to fail. The role of the broker is to present a product or opportunity to the client and explain its advantages — advantages which may not be apparent to the client. A good broker needs to figure out what the problem is, if there is one, and try to assuage the client’s hesitations, doubts, or suspicions. “Faith that” is a faith statement about reality or something factual, such as the existence of God, providence, and historical events like the Exodus from Egypt or the giving of the Torah at Sinai. By contrast, “faith in” is faith in the sense of “trust,” placing trust in tradition and the religious system. For the believer, these different elements exist simultaneously and side by side. Just as the very concept of faith is multifaceted, so the function of a person’s religious system comprises many layers — intellectual, emotional, and psychological. The religious system in general requires that a person have “right opinions” alongside faith in the system. It entails a religious language describing a unique worldview, one that is designed to engender a sense of belonging and connection, both psychologically and socially. Given the all-encompassing nature of the religious system, which permeates so many facets in the lives and personalities of its participants, we can understand the importance of approaching each questioner with sensitivity, attentiveness, and a personally nuanced and appropriate language. Below I will identify three areas of religious exploration that may require mediation or apologetics and examine several forms such discussions may assume. We will first address the cultural arena, which is often a starting point for questions surrounding faith issues. Following this we will consider conflicts in the intellectual realm, and from there we will approach the social-emotional issues, what I will call the “crisis of the believing stereotype.” Common to all three discussions is a call to the apologist to deepen his or her sensitivity, both inwardly and towards the questioner. I do not propose to offer answers to the questions and doubts of the religious person. Rather, I will outline a positive approach to apologetics, one that emphasizes its complexity, and thus seek to make my own modest contribution to this important topic. Many modern people experience a significant gap between the religious system and its values and the reality of their daily lives. Today’s religious Jew experiences two cultural systems in parallel. On the one hand he is the Jew of the beis midrash, for whom a religious way of life is important. Faithful to halacha and mesorah, it is important for him to belong to the traditional Jewish world and to preserve it. On the other hand, he may adopt (sometimes without noticing) attitudes and ways of thinking that are foreign to the language of the traditional world. The spirit of the modern secular world is all too distant from that of traditional religious experience. God of the synagogue and of the yeshivah may seem elusive within this distant world. This chasm is not voluntary, and it does not derive from a hidden rebelliousness or rejection. It is rather simply due to increased and continual exposure to the outside world. The challenge is not a crisis of faith in the intellectual sense, but rather the experience of an ever-growing dissonance between the reality of the secular world and the sheltered ideal of the beis midrash. As the outside world increasingly envelopes a person’s activities, much of his life becomes composed of experiences and conceptions of reality which are secular by definition. This is a gap formed by the conditions of life; we can perhaps repress it and deny it, but this repression does not make it go away. The spirit of the modern secular world is all too distant from that of traditional religious experience. God of the synagogue and of the yeshivah may seem elusive within this distant world. The intensity of this plight will vary by individual: some experience it in lighter forms, while others are greatly disturbed by it. Indeed, in most cases the person will remain faithful to the religious system; but the disconnect weighs heavily on the sensitive soul. Given the complex landscape that must be navigated, the prevailing religious language needs to be updated with a fresh lexicon that speaks meaningfully to this new reality. It is important to stress that the lacuna I am referring to, in the cultural as well as the intellectual and psychological spheres, are specifically gaps of language. The dissonance between daily reality and the religious value system derives largely from the fact that the two world views do not share a common vocabulary. It is hence extremely difficult to mitigate the inevitable tension between them. The mediation we speak of is in fact the work of the translator. Traditional values and outlook on life must be translated into the language of the time. This new language does not artificially eliminate the differences. Rather, it transmits timeless values in a language and concepts appropriate for new conditions. A successful mediator/translator must possess full command of both languages. For this reason, the good apologist must himself experience the tensions we described firsthand. A translator is not effective if he himself cannot understand one language without translation; he must be fully fluent in both. If the apologist is not himself acquainted with both the experiences of the modern world along with the failings of traditional religious vocabulary in addressing that world, he will not be able to translate effectively. His efforts to present religious terms in modern language may end up pathetic, as the attempts of somebody speaking a language he does not understand. The listener will very likely feel that he or she is being spoken to in slogans and clichés, in archaic words bereft of meaning or personal relevance. An apologist who does not personally experience the dissonance he is attempting to resolve suffers from a degree of blindness; he does not truly understand the gap, and thus can also provide no answer for it. An apologist who does not personally experience the dissonance he is attempting to resolve suffers from a degree of blindness; he does not truly understand the gap, and thus can also provide no answer for it. This does not necessarily mean that a person must undergo a true crisis of faith to become a proficient apologist. However, he certainly needs to have direct “inside knowledge” of the reality he seeks to address. A historical perspective confirms this evaluation. By way of example, it seems obvious that Rav Samson Raphael Hirsch’s work of reformulation would not and could not have been achieved by a contemporary Rabbi in Eastern Europe, no matter how wise and educated. Such an individual would not have been sensitive to the Western cultural language of the time and to the consequent tensions created thereby for the individual seeking to live a Torah life. Our second type of potential tension, one that results from intellectual conflict around questions of faith and the like, is a well-known phenomenon. I do not intend to delve into the broad and complex topic of the relationship between faith and intellect. Moreover, intellectual and philosophical apologetics are rarely offered in a vacuum: these usually appears alongside cultural or emotional apologetics, and there are close ties between them. Nevertheless, I wish to direct some attention to the meaning of “mediation” when approaching the philosophy of religion. The great Jewish thinkers and authors of the medieval period did a tremendous amount of work to create a philosophical framework for Torah wisdom. They authored deep analyses and great philosophical works in their efforts to bridge between Torah values and the cultural and scientific norms of their times. As contemporary science influenced modes of thinking and rationalization, these sages were motivated to translate Torah thought into the language of the time. At various later points, the Torah was again “translated” in accordance with the scientific and philosophical vocabulary of the moment. To be sure, there were those who objected to importing foreign ideas and terminology into Jewish thought and attempted instead a restatement of Judaism in its own terms. However, all shared a desire to explain and clarify Torah and Jewish faith in accordance with the intellectual language of the given period. To be more specific: it is well known that Rabbi Shamshon Raphael Hirsch fiercely criticized the approach of Rambam as absorbing the “wisdoms of Greece from the wells of Arabia.” In stated contrast to Rambam’s method, Rav Hirsch presented his own work as an attempt to present Judaism on its own terms, without drawing upon foreign philosophies. Yet, when one reflects upon R’ Hirsch’s writings it becomes apparent that if his work is to remain relevant it also requires a change of language. His words intended to consider and were written in the conceptual, cultural, and ethical language and worldview of the Germany of his generation. The case of intellectual apologetics therefore parallels our argument with respect to cultural dissonance: one must be conversant in both languages before making any attempt at bridging the divide. It is worthwhile at this juncture, before moving on to the third type of tension we wish to address, to present several stereotypical apologists or defenders of the faith common to some circles. I wish to describe the dynamics of such encounters as they are likely to play out in the various scenarios, and to suggest the likely outcomes of such interactions. One approach of dealing with questioners, which may be familiar to some of our readers, does not grant any legitimacy to an honest discussion of faith questions. According to this attitude, we do not engage in apologetics, for there is nothing to explain. Rather, this approach minimizes the questioner’s intellect and his or her ability to make choices. It is fundamentally suspicious of Man, claiming that in fact all the intellectual tensions and turmoil are due to negi’ot, or biases. In this view, the challenges presented are in fact not “questions” but “excuses.” This approach assumes that the entire system of religion and faith is elementary and obvious, and only the narrow interests of the questioner and his pride prevent him from seeing the truth. A second approach does leave room for apologetics, accepting that the Torah appeals to Man as an intelligent being capable of choice. It tries to explain and make matters palatable to the questioner, in the best traditions of Jewish thought. However, a particular type of explainer influenced by this approach may try to blur the reality of the conflict, as though it derives merely from the questioner’s narrow-mindedness. In such a case, we are usually dealing with an “explainer” who is not personally experiencing the intellectual tension and is thus not compelled to first and foremost understand the subject himself honestly and impartially. For him, the encounter is but an attempt to convince the struggler or questioner to switch sides. There is no real identification with or deep understanding of the question. To this apologist, the question was never actually a question; all that is needed is for the other person to “see the truth.” The primary motivation in such an interaction would be no different than that driving one person to convince another to join a different political party. Such an apologist does not really do the work of mediation we have been discussing. Moreover, he may be intellectually unfair and sometimes even manipulative. A sufficiently sensitive questioner will not only reject the answer but may even tire of the entire dialogue and cease asking questions altogether. The common (perhaps unconscious) thought is: “You are just trying to win me over to your side, and for you this is nothing more than a battle of egos…” This is in effect a zero-sum game, in which only one party can be right. Ultimately, such a debate will simply be abandoned. Some people are by nature confident in themselves and their opinions, which they freely and easily express. Such individuals will share their justifications of religion in much the same way (and surely some are attracted to this work for this very reason). But of course, this is a personality style and demeanor the person will demonstrate in other areas of life as well. He will be just as strident with his political opinions, and on topics he may not be so knowledgeable. The problem is that this type of character is the opposite of what is needed for successful religious dialogue, or even apologetics. As we’ve discussed, apologetics can only be engaged in by one who understands the language of the questioner and possesses direct familiarity with his world. The apologist needs to be himself proficient at asking questions, the same questions being posed by the questioner, and who senses a need for translation and mediation. Confidence deriving from blindness to the (intellectual) problem of the questioner reflects an inability to recognize that there is even a need for discussion. Such an approach, beyond being narrow minded and missing the truth, also pushes people away, full as it is of dismissal and condescension. Once we have rejected the legitimacy of the questioner’s intellect and conflicts – having reduced them to the product of “evil inclination,” blindness to the truth, etc – we are not actually talking to the person before us. Both types of apologists mentioned thus far share something in common: their upfront dismissal of the question. Both the apologist who suspects the questioner of being dishonest due to the latter’s biases, as well as the one who fails to recognize its intellectual value, reject the legitimacy of the other individual’s thinking. They categorically deny the other person the ability or right to think differently. Such a condescending and dismissive attitude will certainly fail to have a positive influence. Once we have rejected the legitimacy of the questioner’s intellect and conflicts – having reduced them to the product of “evil inclination,” blindness to the truth, etc – we are not actually talking to the person before us. At that point, any attempt to engage and influence via intellectual discourse will be abandoned. This of course leaves room wide open for resorting to all manner of emotional and psychological manipulation. Typical of this type of manipulative approach is the selective use of scientific facts and studies, stressing findings and quotes that support faith while hiding other facts and studies, dismissing the questions or the questioner himself, mocking them with claims that they are biased and dishonest. A more reasonable and truthful alternative, albeit lacking the decisiveness and absoluteness of the previous approaches, is more akin to what our greatest thinkers have always done. They absorbed the language and conceptual system of those around them and translated the principles of the Torah for that audience. The output of these efforts was not meant to solve someone else’s problems or to provide formulas that would make people do teshuvah, but rather to deal with internal tensions. Those authors acted on an internal drive to bridge the gap between the timeless traditions of the Torah and the prevailing views of the generation, between the concepts and values transmitted from Chazal, our Sages, and the realities of the moment. These apologias are, in essence, answers that were directed inwardly by our great thinkers. Of course, some of this work has not withstood the test of time, but it demonstrates their ability to meet the challenges of the time, by presenting Torah within the authors’ own time, language, and place. Those authors acted on an internal drive to bridge the gap between the timeless traditions of the Torah and the prevailing views of the generation… These apologias are, in essence, answers that were directed inwardly by our great thinkers. This approach respects the world of the questioner and even identifies with him at a certain level; the questioner may recognize that the responder also experiences the tension (perhaps in a different form or level of intensity). At the same time, this approach recognizes and respects the individual experience of the questioner, understanding that he or she is unique and that they might see things differently. It thus seeks to address the conflicts by mediating between the various issues and translating from one “language” to another, offering the questioner a statement that is meaningful in the language he speaks. An important point needs to be made at this juncture, which is the apologist’s obligation to know himself and his own intellectual abilities. He needs to know his place, recognize the limits of his knowledge and philosophical skills, and act within this framework wisely and with humility. Thus, I would thus like to turn to another important point that must be kept in mind when dealing with questioners and questions of faith. Often, the encounter with questions places the apologist on the defensive. He feels that it’s his job to protect all of Judaism, and that any unanswered question renders vulnerable the entire religious structure. He feels that it is his duty to answer all the questions, unequivocally. But we must admit that our ability to do so is limited. The broad expanse of faith and religion is not so easy to explain. Moreover, the experience of the believer is not always pleasant, and it sometimes involves psychological or intellectual distress. Sometimes an external impression of tranquility and security in the religious world actually belies a degree of superficiality or attachment to one’s comfort zone. It may be that the community and faith serve as a comfortable and convenient “natural habitat.” That’s how he or she was raised, and this is where he or she feels at home. He thus is not concerned by questions and dilemmas. His faith is like that of the Tam, the innocent son in the Pesach Haggadah, or even of the Sheino yodea l’shol, the son who does not know how to ask. Such a person may be secure and confident in their place, but is also not likely to reach any particular religious heights. 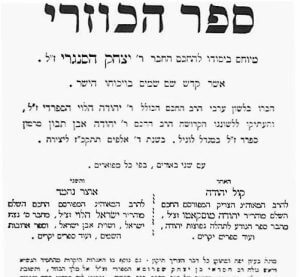 We should mention here a piercing idea cited in the name of Rabbi Yechiel Yaakov Weinberg, author of the Seridei Eish, regarding the tanna Rabbi Meir. Rabbi Meir was the only one of his peers who learned Torah from the apostate Elisha ben Avuyah, also known as Acher [lit. “Other”]. The Sages tell of how Acher ended up leaving the faith because of the following event he witnessed. One day a father told his son: “Go and bring me chicks.” The son went to fulfill his father’s commandment and found a mother shielding her chicks. As the Torah commands, the son sent the mother away and took the chicks to bring to his father. But in coming down off the tree, the son fell from the ladder and died. Elisha Ben Avuyah saw this and wondered how a person can die when observing the two very commandments which carry the Torah’s promise of a long life — kibbud av v’em, honoring one’s parents, and shiluach hakan, sending away a mother bird before taking its offspring. His ringing comment, “Where are the good days of this one and where is his long life?” led him to apostasy and earned him the name Acher. It would appear that these words are also appropriate for our purposes. In many places, the questioner presents a real dilemma to which there is no clear answer. Our world is rooted in God’s “concealment” and does not readily demonstrate ongoing Divine revelation. “The world is as obscure as a riddle,” as the Chazon Ish said. Moshe Rabeinu and the prophets had difficulty with the question of evil in the world and God’s concealment therefrom. They received no answer. The apologist may be pushed into taking the position that everything is ostensibly clear and that faith is a simple matter, but oftentimes rather than signifying a profound level of faith it points to complacency and indifference. The explainer, looking to highlight the truth of faith, may stumble, and not feel that the questioner’s challenge contains real pain and a serious argument. For it may very well be that the “heretical” challenges of his questioner are in fact a deep statement of faith, drawn from an internal sense of truth and caring. Sometimes it is his own peace of mind that should trouble the apologist and cause him to ask himself why he is so sanguine. The same is true of our reaction to broader criticisms of the religious system and community establishment. Sometimes we hear questions from young people who are “not yet used to how things work.” To such questioners, good and bad are still clearly defined and distinct categories; they have not yet tasted of the Tree of Knowledge, whereby good and bad are mixed. To a great extent their questions reflect an inability to appreciate complexity, to understand that Man and the world he occupies are imperfect. But sometimes these questioners are right. It is we who have gotten used to things as they should not be or we who have given up on trying to fix what is broken. While we have become lulled into ignoring inconsistencies in our conduct or lack of integrity in our social institutions, the search for truth still burns within these questioners. To sum up: the good apologist must be humble and know that not all questions have answers. Sometimes “Silence, so has the thought risen before Me” is the appropriate attitude. Sometimes, one is called to stand in silence when confronted with events we do not understand or in the face of questions lacking a clear answer, understanding that the journey of the believer must perforce goes through such junctions. The third field requiring apologetics is of a somewhat different character than the two previous ones. If the previous cases required the mediation or translation of the Torah itself, here we speak of the mediation of the subject, its follower and believer. We are not speaking of apologetics in the classic sense, of an “object” to be defended, but rather of the development of a man of faith suitable for his time and place. What does this refer to? The extensive secularization of our communities in the nineteenth century profoundly harmed the “ideal type” of the religious person. The religious individual was perceived and portrayed by Maskilic and enlightened Jews as archaic, detached from progress and reality. He was seen as a relic, rigid and stuck in the old ways, undeveloped philosophically and culturally, and so on. These critiques were directed less against the principles of religion themselves as much as towards its adherents. In this case, the dissonance was not between the Torah and the realities of the time, but between the persona of the believing person and modern life. In this spirit many turned away from their religion. Rav Kook in his work Adar Hayakar defined this phenomenon as “moral heresy.” He argued that this is in fact the real core of heresy, and it serves as the body on which the intellectual garb of heresy is placed. Arguably, we face a similar challenge. Though our generation is different, the idea underlying R’ Kook’s comments is familiar to us. Our exposure to a secular culture, slowly becoming inevitable, is causing an erosion of the positive ideal of the religious person. Ultimately, the religious person may feel unworthy in his own eyes, primitive and uneducated. The ideal believer slowly transforms, becoming ugly and grotesque, to himself and to others alike. An apologist who is not sensitive to these phenomena can easily fall into a trap, making his responses only strengthen the negative impression among questioners. When the figure of the believer is compromised in the eyes of the questioner, this, more than anything else, is likely to move him away from the world of Torah and its commandments. There are consequences here not only for the personality and positioning of the apologists, but also for the mediating language itself. Sometimes one gets the impression that the custodians of the religious system, a system which purports to be objectively “true,” are themselves narrow-minded people, fortified in their comfort zone and unwilling to engage any ideas that deviate from “what is right.” This impression severely harms the project of translating the Torah’s values to the experienced realities of the time, handicapping in advance any attempt to communicate with the questioners. When the figure of the believer is compromised in the eyes of the questioner, this, more than anything else, is likely to move him away from the world of Torah and its commandments. An easily understandable analogy is to a child, who sees his parents and teachers as perfect beings, above any error. When the child grows older, he may discover that they too have weaknesses and flaws, fears and repressions. The ideal type is harmed. Suddenly, all the exalted values he received from them, the absolute truth he was convinced of — are all compromised. Substantively perhaps nothing has changed, but since the agent of the ideal (in the eyes of the child) is no longer pure, he suffers from a crisis of trust which drives him to question the ideal itself. This is to say nothing of those who encounter genuinely corrupt authority figures, be they parents or teachers. In such cases the crisis is greater and much harder to heal. The problem we are confronting here only grows when the apologist attempts to deny his weaknesses, instead digging into the position of the “know it all.” Sometimes the motive for this is “educational” — out of a fear that betraying any lack of confidence or weakness will lead to the collapse of the entire structure. But in practice, this approach achieves the very opposite of its intention. Overplaying one’s hand may easily lead the questioner further astray. When he does encounter the inevitable weakness, thus exposing the apologist’s deception, he may readily draw the general inference that the apologist and the entire interaction were all a sham. Overplaying one’s hand may easily lead the questioner further astray. When he does encounter the inevitable weakness, thus exposing the apologist’s deception, he may readily draw the general inference that the apologist and the entire interaction were all a sham. All that said, it is easy to understand what leads an explainer to come across as insensitive. Excessive personal confidence, alongside blindness to the questioner’s struggles with the ideal type of the religious man, may result in the impression that the religious person is stuck in his opinions and impatient. That instead of learning and thinking, he cleaves to the comfortable and safe place he is most familiar with. Rather than building together with the questioner the first steps of a sustainable faith system, the apologist’s insistence on “proper hashkafa” will create troubling impressions of the religious ideal type and will in fact guarantee the very opposite of the intended outcome. I obviously do not intend to say that the above always happens or that every apologist will fall into this pattern, but experience has taught that it is very easy to slip. As human beings with weaknesses, egos, and the desire to be right, it is far easier for us to stay within the familiar and the known and from that vantage point to argue that the other person is a misguided heretic. It is much harder to internalize and consider the questions without immediately jumping to formulate a “perfect” answer that can be couched in absolute terms. In other words, the welcoming, sensitive, and inclusive approach, in which the respondent listens without jumping and judging, provides space for questions and the questioner, and serves as the best form of mediation. He demonstrates to the questioner a different kind of religious image, and teaches — without saying a word — of a humane and profound religiosity. Clearly, this is just a start. One cannot stop at sweet words and external “tolerance.” We must devote efforts towards a deep internal change within ourselves. We must present a living model of worthy religious life, one that is better and more moral. Ultimately this is the best form of apologetics. In this spirit, and as a complement to the foregoing, I would like to propose using one of the most powerful tools of our time in an effort to sanctify the name of Heaven and to rebuild the image of a believer who can truly be glorified. A few months ago, this website hosted a discussion on Charedi literature. The discussion was deep and fascinating, and reading it brought the important question to the forefront: What does literature do to life in general, and what is the role of Charedi literature in particular? Literature can communicate to readers that alongside the absolute values of religious life, there is a human element as well. Religious life is not the methodical application of dry principles, but it is rather Man’s encounter with God. We know that Maskilim used literature in their day to present the religious figure in a pathetic and absurd manner or to portray the traditional Jew as corrupt and immoral, thus harming the ideal of the religious type. This damage can be reversed in much the same way. A true and honest account of religious life can correct the false impressions, rebuild the ideal image, and form it into a viable role model. Of course, all this holds only when we are speaking of honest and authentic literature rather than a superficial description of characters utterly unrelated to real life. Such literature should accurately portray a deep, complex, and multi-faceted religious life, not a one-dimensional fantasy. Literature can communicate to readers that alongside the absolute values of religious life, there is a human element as well. Religious life is not the methodical application of dry principles, but it is rather Man’s encounter with God. This confrontation is subjective and multi-faceted by nature, and while it does entail acceptance of the rigors of a religious system external to oneself, it is also a deeply personal experience unique to the soul and essence of the individual person. Indeed, the religious language speaks generally of obligations and beliefs, but its human side, the experiences of the people who live it, can be revealed in literature. The reader is exposed to the emotional world behind the ritual practice and discovers in that world the legitimate tensions and challenges of even the most devout. Literature is a statement about life, an authentic description of Man. It provides an opportunity for the reader to enter the protagonist’s internal world, with the dilemmas, questions, and emotions that characterize a life of observance. A good story can serve the function of apologetics without apologizing, as all stories are but a medium for communicating a message. The story provides its audience a glimpse of another world. It shares the internal world of an unknown figure, translated into a language the reader can understand. Through storytelling, we can restate the life of Torah and commandments in a world such as ours and illustrate the relevance of the religious system to our own generation. In the personal narrative, the believer is a human being, one who does not hide his weaknesses but strives to correct them, who experiences the religious and faith-based system not only through intellect and ritual, but also as a relationship and a covenant. But it is not just a question of relief. We mentioned above the various risks of bad apologetics, and we described the alienation questioners will feel towards respondents who do not understand their world. Our “crisis of the ideal type” is similar: The questioner feels that the believer must be detached, that he does not experience the same difficulties and troubles, and indeed does not appear to inhabit the same world. But the portrayed image of a believer experiencing his faith throughout difficulties and dilemmas presents faith as a heroic task that can be achieved even in a challenging world. It is precisely this imagery that can feel more relatable to those standing at a difficult juncture, filled with doubt and confusion. the portrayed image of a believer experiencing his faith throughout difficulties and dilemmas presents faith as a heroic task that can be achieved even in a challenging world. Such is the power of literature. A good story can project a person’s own dilemmas back at him and help him understand his own complexity. Rather than accept himself in a dichotomous and binary manner — as either all good or all bad — the reader learns more of his own various weaknesses and strengths. Literature presents a complex picture of the world, in a nuanced and sensitive language. It can revive a robust and more human religious “ideal type,” and present him in a range of hues. It can show a religious life integrated with emotional richness and a healthy individualism. In fact, there are already excellent example of such books, and I will note two of these to explain what I mean. The first example is Rabbi Haim Sabato’s famous book Adjusting Sights, a work about faith through the difficult situations of war. No attempt is made to convince the reader of the correctness of faith; there is rather an authentic personal story. But when the reader turns its final page his belief is enriched and strengthened, as the story offers a worldview of faith within the depths of challenge. The second example is Rabbi Lior Engelman’s, Lo Mafsikim Le’ehov Ba’Emtza which follows a Rebbi in a yeshivah as he deals with human problems and weaknesses. In my opinion, peeking into that character’s thoughts and dilemmas not only doesn’t weaken the faith of the reader, it even strengthens it. The recognition that everyone struggles and that the Rebbi is not superhuman can help put things in their proper context, providing comfort in difficult moments. In fact, presenting the Rebbi as an unusually perfect being would be much more problematic, creating even greater distance between the believing Torah personality and the reader. In the same vein, I am looking forward to a book that presents a nuanced view of the world of kollel students. Such a work could normalize and enhance the reputation of the yeshivah student. And so on regarding other subjects. A similar role could be played by poetry, a genre virtually nonexistent in our communities. I do not refer to mere rhythmic word plays, which are usually not even aesthetically pleasing, rather honest poetry emerging from the poet’s soul, courageously revealing his or her innermost feelings. Poetry has the power to access a deeper layer, one that often cannot be articulated in prose. Literature and poetry are necessary element of our human expression; they should not be relegated to mere entertainment and leisure. We need these creative expressions in our lives and in our communities to further round out and complete the picture of a successful Torah observant life. Many works of Jewish thought would not have been written were it not for the ever evolving need to bridge the gap between the Torah and the material world as experienced in each generation. Our need for such activity has not diminished; indeed, we now must cope with modern notions of individualism and personal autonomy, areas that demand their own nuanced treatment. Today’s religious apologetics are directed at a consciously independent person who can make choices, not a blindly obedient soldier. In this context, “Truth grows from the ground,” from the individual’s own recognition; conclusions cannot be imposed from above. Discussion of religion needs to be adapted with new tools and languages, modulated to address various strata of the religious system and the shifting needs of the autonomous modern person. No less important is the nature of the interaction and our approach to the questioner. We must develop and reinforce sensitivity to the questioner and his questions, inhabit a position of genuine humility, and acknowledge that there are different ways to understand reality, even in the intellectual sense. The respondent must recognize that the questions may be generated by correctly identified gaps between the ideals and abstract Torah truths and the experienced reality of daily life. And of course, this must be accompanied by the understanding that apologetics cannot be an isolated intellectual exercise. A variety of factors are always in play, each according to his or her own individual psyche and character. Finally, to a large extent, the greatest success lies in the apologist’s ability to be attentive, to hear and not just to be heard. Different approaches have been employed over the ages to establish and to strengthen religious faith. Some, such as the Rambam, Rasag, and other Rishonim, were disposed toward an intellectual approach, while in later times the emphasis has shifted to the emotional and the experiential (such as in the writings of Rabbi Yechiel Yaakov Weinberg, or the Chazon Ish). 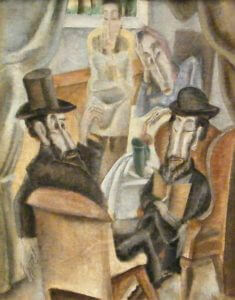 See Moshe Halbertal, David Kortzweil and Avi Sagi (eds.) On Faith: Investigations into the Concept of Faith in the History of Jewish Tradition. This distinction was first proposed by Martin Buber. See M. Halbertal, “Al Maaminim V’Emuna,” in Al HaEmuna, ibid, from p. 11. This application of “Emunah” or faith, is the usage most commonly found in Scripture. See Y. Bin Nun, “Emunah Mul Hofcheha” in Al HaEmuna, ibid, from p. 190. The relationship between language and reality is explored at length by Wittgenstein. Nineteen Letters, Letter 18 (this sentence was omitted from the Hebrew version of Nineteen Letters published by Netzach, Bnei Berak). To be sure, alongside this harsh criticism, R’ Hirsch also describes Rambam as “this elevated man, to whom, and only to whom, we must thank for preserving observant Judaism to this day.” Noteworthy also is R’ A.Y. Kook’s response to R’ Hirsch’s critique of Rambam. See Shemoneh Kevatzim 6, 28. Cited in R’ Weinberg’s name in the publisher’s Introduction to R’ Weinberg’s LiPrakim, Jerusalem 2003, p. 10-11. This should have a citation. Does not in original. See “Perot u’Prachim – Dat v’Emunah b’Yisrael u’bein Yisrael l’Yavan,” LiPrakim, from p. 175. Fn. 11 – long quote from Halachic Man. Needs to be translated. See M. Halbertal, “Bein Madaei Hayahadut l’Dat Yisrael” in Machshevet Yisrael v’Emunat Yisrael, ed. D. Lasker (Be’er Sheva, 2012) p. 18. L’Nevuchei Hador (Yediot Sefarim: Israel, 2014) p. 242. This is not merely a psychological phenomenon; religion itself involves relationships both between a person and his fellow, and of course between a person and God. It is well known that existential philosophy in particular made use of storytelling to communicate conceptual paradigms. R’ Soloveichik’s Halachic Man is a prime example. Naturally, the challenge of the covenant is common to children and adults alike. Fascinating use of Modern Orthodox and even non-Orthodox sources (Martin Buber) in a piece targeted towards a Haredi readership. Aside from the virtue of “Eizahu chacham, ha-lomed mikol adam”, the article suggests greater openness and looking outward within Haredi culture in direct contrast to the usual stereotype of isolation save for purposes of parnasah. The piece would have been strengthened by concrete and tangible illustrations of particular cases rather than limit itself to philosophical and theoretical approaches. Very valuable and thank you as well to the editors for publishing it.